Wiley Cash’s first novel A Land More Kind Than Home appeared on the New York Times bestsellers list in hardcover, paperback, and e-book. 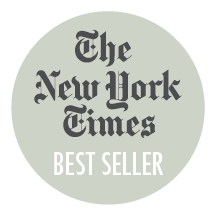 The New York Times also named it an Editor's Choice and a Notable Book of 2012. The novel was included on best of 2012 lists by Library Journal, Kirkus Reviews, Books-a-Million, and many others. A Land More Kind Than Home won the Southern Independent Bookseller Alliance’s Book Award for Fiction of the Year and the John Creasey New Blood Dagger Award from the UK's Crime Writers' Association, and it was a finalist for the PEN/Robert W. Bingham Prize and the American Booksellers' Association's Debut Fiction Prize. Wiley's second novel, This Dark Road to Mercy, was a national bestseller, an Indie Next Pick, a SIBA Okra Pick, an O Magazine Top Ten Title, a LibraryReads February 2014 Selection, an Amazon Book of the Month, a finalist for an Edgar Award for best novel, and winner of the Crime Writers' Association's Book of the Year. It has been optioned for film. His most recent novel, The Last Ballad, was a national bestseller, named a Notable Book of 2017 by the American Library Association, Best Book of the Year by the Chicago Public Library and won the 2018 Southern Book Prize. The novel received the Weatherford Award for Appalachian Literature and the Mary Frances Prize for Distinguished Arts and Letters, and it was a finalist for the Robert J. Langum Prize for Historical Fiction. Wiley has received grants and fellowships from the Asheville Area Arts Council, the Thomas Wolfe Society, the MacDowell Colony, and Yaddo. His writing has appeared Garden & Gun, Saveur Magazine, Our State Magazine, and other publications. He holds a Ph.D. in American literature from the University of Louisiana-Lafayette, where he studied fiction writing under Ernest J. Gaines. Wiley is writer-in-residence at the University of North Carolina-Asheville and teaches in the Mountainview Low-Residency MFA Program. He has taught fiction writing at the University of North Carolina-Chapel Hill, Bethany College, and the University of Louisiana-Lafayette. A native of North Carolina, he and his wife and their two young daughters divide their time between Asheville and Wilmington, NC. Wiley Cash & Lisa Wingate Win 2018 Southern Book Prizes!